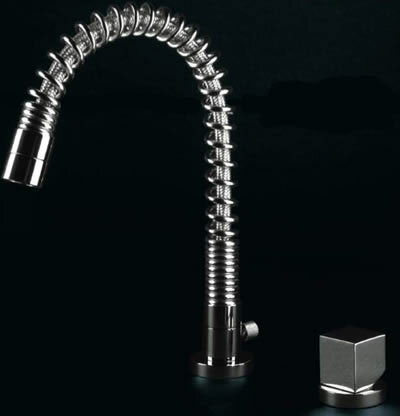 Gessi Quadro Hi-Tech 17459 keittiöhanat with flexible spout ja separate control. Available in chrome ja chrome-satinato. Dimensions below in millimetres.